Mortgage interest deduction. You can deduct the interest you pay in your monthly mortgage bill when you itemize deductions on your tax return. This can be a huge benefit, especially in the early years of a mortgage. That's because typically about 80 percent of your mortgage bill in your first year of home ownership on a 30-year mortgage goes toward interest. Principal payments typically don't exceed interest until year 18 of a 30-year mortgage. Note: This benefit is capped to apply to $750,000 in indebtedness for new loans beginning in 2018 ($1 million for loans taken out in 2017 or earlier). Property tax deductions. You can deduct up to $10,000 in combined state and local taxes. Called the SALT deduction, this can be used to deduct local property taxes, state income taxes, and state and local sales taxes. Closing cost deductions. You can deduct some of the closing costs of a home purchase in the year you buy it. This includes things like real estate taxes and mortgage discount points you pay up front to lower your interest rate over the life of your loan. Because each point costs 1 percent of your total mortgage amount, the tax deduction on these costs can be substantial. 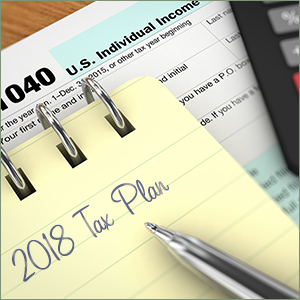 Remember, if you're thinking of buying a home, you'll want to make a tax review part of your preparation. Because the tax deductions on mortgage interest and points can be so substantial in the early years of home ownership, they may factor in to how much home you can afford.